Sign up with your email address to receive news and updates. We'll send you a notice when we post a new blog and maybe even send out a real newsletter some day! We promise we won't share your email address with anyone because we're cool like that. We're getting cozy with SLC Arts! 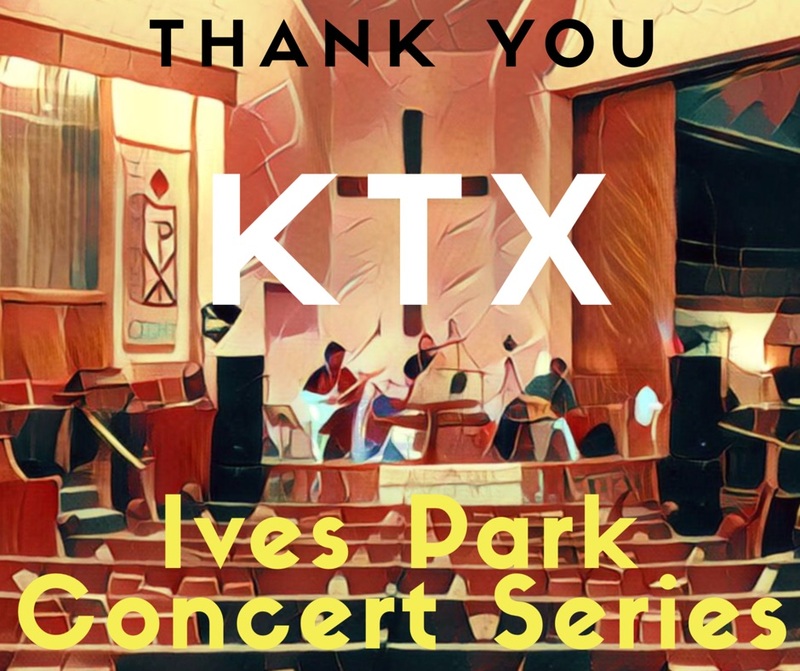 Thank you to everyone who has helped and donated to make the Ives Park Concert Series such a great success. We've had a fantastic time and are incredibly excited to do it again! For the first three years of this series, we have been fortunate to receive a grant from the St. Lawrence County Arts Council through the NYSCA Decentralization program. We’ve been letting you know that this program is made possible in part with funds from the Decentralization Program, a regrant program of the New York State Council on the Arts, with the support of Governor Andrew Cuomo and the New York State Legislature, and administered by the St. Lawrence County Arts Council. BUT NOW (as of April 2019) we are NOT going to be receiving that grant because we will be partnering with the St. Lawrence County Arts Council to run the series! This is a huge deal for us as we grow. Thank you to the board of What a Raquette Music & Dance and the board of SLC Arts for working together to make this happen! It’s going to be awesome! Thank you so much to KTX for an awesome time tonight. Even though it was raining we had a great turnout in the United Methodist Church. The sound was great, and everyone was obviously having a fantastic time dancing in the isles! It was a bit hot because the church didn't cool off enough after the 95 degree day we had yesterday. Thank you, SpiceCSM, for sponsoring this concert. Thank you to everyone who came down. We sold a few more tees and raffle tickets and many people filled out surveys providing helpful feedback. We can't wait till next Saturday's concert with John and Orion Kribs. Hopefully the weather will hold out this time. Check out our awesome new t-shirts! We are selling them for $20 (including tax), and we will have them available for sale at every concert. We have green and grey in unisex crews and women's vees. We got our first corporate sponsor! North Country Saving Banks donated $500 to sponsor the Singer-Songwriter night on September 24. We have a few other potential sponsors lined, but no check in hand yet. Very excited about this development and how it's all going in general. Thank you, North Country Savings Bank, for your support!! The benefit concert yesterday was a huge success. We had upwards of 100 people purchase a ticket and from about 2pm to 4pm we had around 50-60 pack in at Jernabi Coffeehouse! With entrance donations, raffle ticket and art auction sales we made $1123. My stretching goal was $2000 but I knew a more realistic goal was $1000, so I'm incredibly happy with that. All the bands were absolutely amazing, and it seemed like everyone in attendance truly enjoyed the event. Thanks to everyone involved. This has been such a fantastic push in the right direction for the concert series. Planning for our benefit concert next Sunday, February 14, is underway. It is really coming along! We have all of our bands lined up, more artists are asking to get involved and businesses are even reaching out to me to provide donations for the prize raffle! I am so happy to see such an amazingly positive response from the whole community to this event. This next week is obviously crucial for marketing the event. We need to really get the word out there. We put up posters all around Potsdam and a few in Canton (with help from friends like Aviva Gold), we are talking to radio people like Barb Heller, Todd Truax and David Sommerstein to get a mention, and we're promoting on Facebook. So far I think the event has been shared about 20 times! Amazing! We're hoping to get a great turnout and to encourage as many people as possible to buy tickets ahead of time at Brick and Mortar Music or at Jernabi Coffeehouse. Of course tickets can be purchased at the door, but we also want people to buy raffle tickets and bid on the amazing artwork we have. It's a very exciting yet nerve-wracking week, but everything is lined up for this to be a fantastic event! Thanks to everyone involved (there's probably 50 people minimum who are helping in some way)! We finally received word that our grant application was accepted and we were offered up to nearly 92% of the amount we applied for! Woohoo! This is really only the beginning though... We have much further to go because this grant only covers about 35% of our total budget. We've now started the process to kick off our real fundraising efforts with a fundraising concert in February. More on that later. We have a rain location! Thank you to Betsy Baker, the secretary at the United Methodist church, for working with me and bringing this to the table at the recent Church Council meeting. This concert series is for our North Country community of musicians, artists, students and Potsdam residents. It is for everyone. We are working to create a fun experience for as many people as we can, and I feel like this will be an even better project if we have some more people joining us in the planning process and beyond. Some of the things we need help with is marketing including social media and printed materials (we will need to hang posters), fundraising, operations, and planning all this in general. I'd love to hear ideas of what we can add to this concert series and what we can do to raise funds to make it happen. Even if you just have some new ideas that you'd like to share, I'd love to hear it. If you're interested in volunteering some of your talents or if you just have a great idea that we could perhaps run with, please don't hesitate to shoot me an email. We could even have lunch and chat! Well, I've been pretty busy the last few weeks. I've been working on the grant application for the SLC Arts Council community arts grant to get this Ives Park Concert Series thing going but I just submitted it last night. Now that that's pretty much done for now, I'm ready to move forward in the planning process. As I move along, I thought it would be nice to keep updates on what I'm working on for the concert series, hence a new blog! 1. Fundraising Concert - I'm thinking Wednesday, December 9 in the evening. So far the idea is that we will bring in some local musicians to play a few songs each, ask local artist to provide music- or Potsdam-inspired art to be auctioned off, and ask local businesses to provide in-kind donations to be raffled off. I'm hoping to hold the event at a local coffee shop, but we'll see how that works out. The reason I want to do the concert on that date is because students will still be here, and it's right before Christmas, so people will be more apt to buy some artwork. Also, having it during the week seems like an optimal time because weekends in December are always crazy. I don't plan to create expensive posters or anything because don't have any money yet. 2. Press Releases - Start advertising to the community with press releases in the local papers. This is pretty self explanatory, but I'd really like to let more people know about what we're doing and ask them to donate on adirondackgives.org/campaigns/ives-park-summer-concert-series so we have more cash to get things rolling. 3. Business Sponsorship - Reach out to local businesses about sponsorship. I plan to have each of the nine concerts in the series sponsored by a local business. I have budgeted this to be a large source of funds for the series, so I hope businesses are receptive to this. Wish me luck, and do let me know if you'd like to help at all. Please fill out the form to the right or send an email to mckennasden@gmail.com (it goes to the same place anyway).